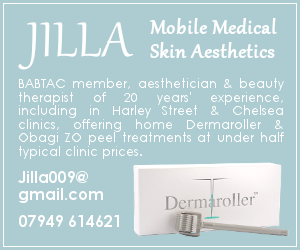 Tatler-favourite, Dr Pam has over ten years of experience as a Facial Aesthetics Specialist. After obtaining her DDS degree at Madrid University in 2006, she brought her specialist aesthetic practises to the UK. Her proven CV is backed-up by a sturdy academic career including an internship in the prestigious Aesthetic Postgraduate Program at New York University. Dr Pam is passionate about aesthetics and her attention to detail make her skilled at facial assessments and treatment protocols. As a caring practitioner she’s earned the trust and respect of her patients, and attends regular courses and conferences so she can provide the most up-to-date treatments. Pam practises from her beautifully appointed Chelsea apartment. Just off Hollywood Road, it’s the perfect (pre-arranged) pit stop before an evening at Brinkleys, Bandol or the Hollywood Arms. Flooded with natural light, her consulting room is decked out in modern neutrals. Reminiscent of a high-end country house spa, recessed ceiling lights and muted tones are World of Interiors perfect. Dr Pam herself is both reassuringly beautiful and delightfully disarming. She has the eye of an artist and her work is incredibly natural. Whilst far too discreet to name-drop her clients, you can imagine her being responsible for the sort of subtle tweaks that take supermodels from wow to otherworldly. After a chat about what you want to alter, what you like, and what you don’t, Pam tells you what she can do, what she recommends, and what she doesn’t – at no time putting any pressure on her clients. She applies anaesthetic cream to the lips and chats more while it has time to kick in, then, very gently, and all in your own time, injects small amounts allowing you to stop and see the results as you go. This focus on the patient is unusual and allows you to be totally involved and in charge of their ultimate shape and size. Dr Pam injects cautiously in tiny increments so you can keep checking the way they’re going, and is so skilful you barely feel her at work. A believer in the less is more approach, Dr Pam advises patients go with a smaller amount of filler to begin with, and, if after two weeks they still feel they’d like more, adding that at a follow-up appointment. The best ever! I had no idea my lips, or my face for that matter, could look this good. My lips are full, perfectly proportioned, natural looking, and have taken a good 5 years off me. I can say with utmost confidence that Dr Pam is my favourite aesthetician in the world.